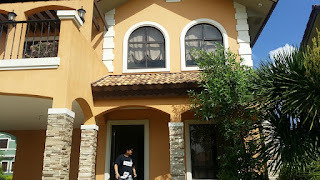 Housing for LGU employees. Pag- IBIG Fund Vice President for Home Lending Operations Luzon Group Engr. 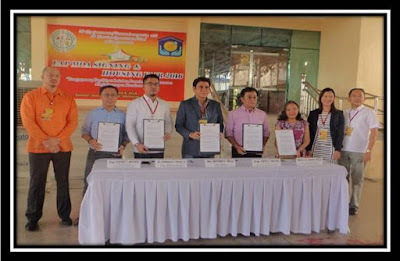 Chito L. Enciso (5th from left) and Tanauan City Mayor Antonio C. Halili (4th from left) during the signing of the Memorandum of Agreement (MOA) and the Collection Servicing Agreement (CSA) under the Employers Accreditation Program at the Speaker Jose M. Laurel, Jr. Memorial Stadium, Tanauan City, Batangas. With them are (from left): ABC President Councilor Polmark Fajardo, Pag-IBIG Fund Manager Engr. Sigfred T. Briones, Tanauan City Administrator Atty. Herminigildo G. Trinidad, Jr., Pag-IBIG Fund Manager Noli O. Martirez, Tanauan City Vice Mayor Jhoanna C. Corona, and City Councilor Benidicto Corana. Employees of the local government unit (LGU) of Tanauan City in Batangas can look forward to a more efficient and convenient means to avail of the Pag-IBIG housing loan programs, as the Tanauan LGU recently entered into a Memorandum of Agreement (MOA) with Pag-IBIG Fund under the Fund's Employer Accreditation Program (EAP). The agreement was signed on March 7, 2016 at the Speaker Belmonte Gymnasium in Tanauan City by Pag-IBIG Fund Vice President for Home Lending Operations Luzon Group Engr. Chito L. Enciso and Tanauan City Mayor Antonio C. Halili. The EAP aims to provide employees with easier access to Pag-IBIG housing loan programs that are within their affordability level and preferences. Part of the MOA is the Collection Servicing Agreement wherein the employees' monthly obligations will be paid through salary deduction. "Automatic salary deduction of your Pag-IBIG payments will translate to ease and convenience on your part, since you no longer have to go to payment centers to fulfil your monthly obligations. And we appreciate Mayor Halili's commitment to remit your payments on time," Engr. Enciso told the employees. The LGU employees of Tanauan immediately experienced the beneficial effects of the agreement when the city government and Pag-IBIG jointly conducted a housing fair complemented by a housing loan orientation for the LGU employees, right after the MOA signing. Employees of other government agencies like the Philippine National Police and the Department of Education were also invited to the Housing Fair. Eleven accredited developers of the Fund with housing projects within Tanauan City and neighboring municipalities participated in the Fair. Pag-IBIG also offered its acquired properties for sale. Some employees who expressed interest in the properties offered for sale paid their reservations right away, while several others requested site trips. Mayor Halili thanked Pag-IBIG Fund for the partnership and expressed the support of the city government to the Fund's programs. "The LGU has long been thinking of a housing project for the employees. Through this partnership, we can further explore to attain this goal," he said. 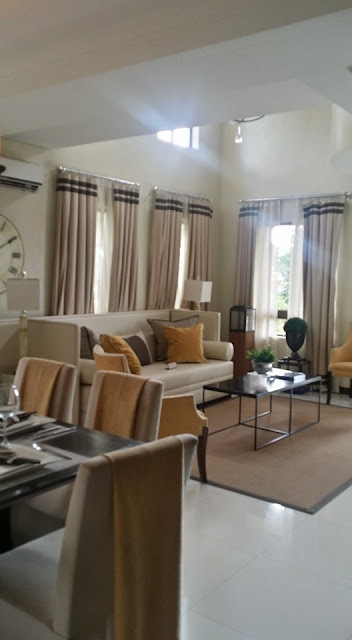 Do you want to own house somewhere in South or looking for a house that quality and luxury you deserve? Crown Asia is making easy for you to achieve your dream house, then turn that imagination into reality when you think of Valenza. Located at the Barangay Sto. Domingo, Sta. 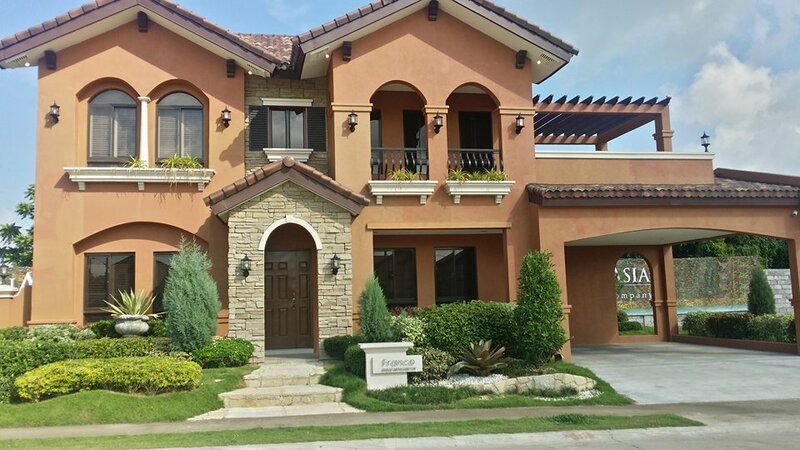 Rosa in Laguna is a 25-hectares with Italian-inspired community and amenities such as swimming pool, basketball court, tennis court, function room and children's playground. 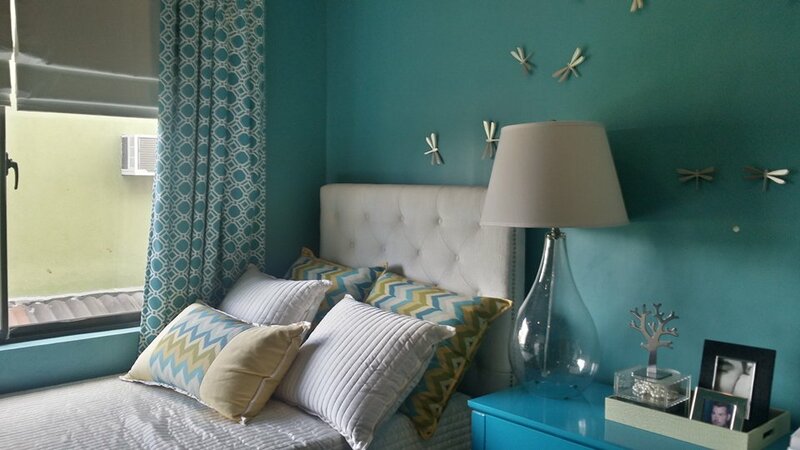 ELEGANCE Revel in the architectural details pristine surroundings that will certainly captive you and your family. 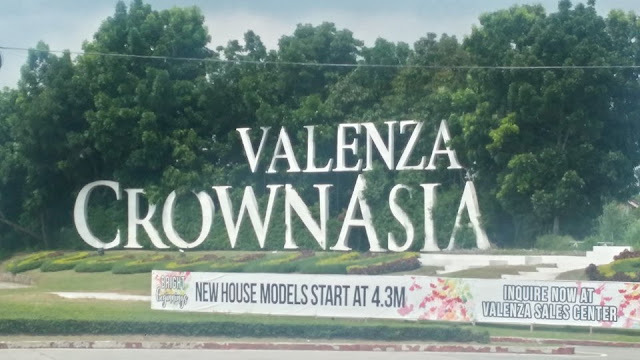 CONVENIENCE Situated at the heart of the south's metropolis, Valenza's proximity to shopping centers like Starmall Prima, All Home, solenad, S&R Sta. Rosa, Paseo de Sta. Rosa, Laguna Central, and SM Sta. 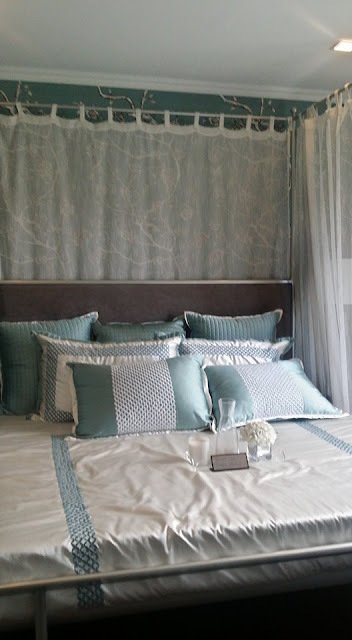 Rosa, premier schools such as St. Scholastica's College, De La Salle C.nlubang, Brent International, and Xavier School, and soon UST and even hospitals like Medical City, and the Asian Hospital keep all that matters to your loved ones close by. 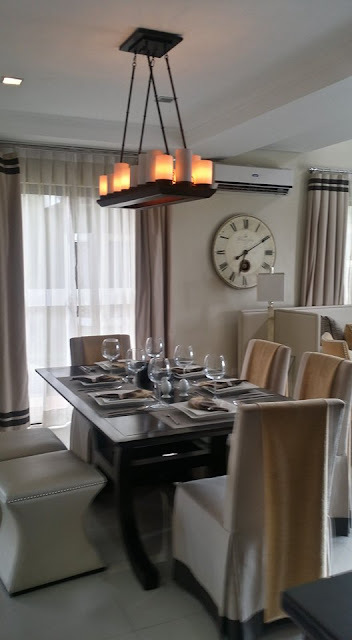 RELAXATION Take comfort in Valenza's secure and peaceful community with its round-the-clock security and reliable safety personnel. Engage in your favourite recreational activities such as basketball, swimming, tennis in their well-appointed clubhouse. 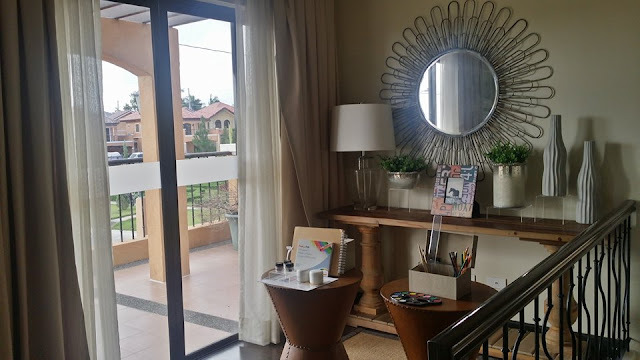 ACCESSIBILITY With everything that is important so close by and all you'll ever need right at home, there are just so many wonderful experiences you can share with your family here in Valenza. It's the kind of living you'll soon grow to love. Close enough to CBD via SLEX. Close to Tagaytay and the South. 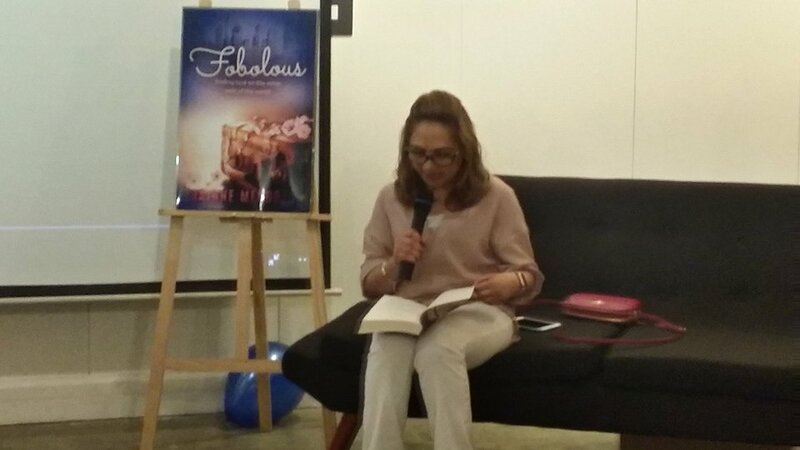 Last June 23, 2016 at 6PM the Fobolous Book Party held at ASpace, Makati. 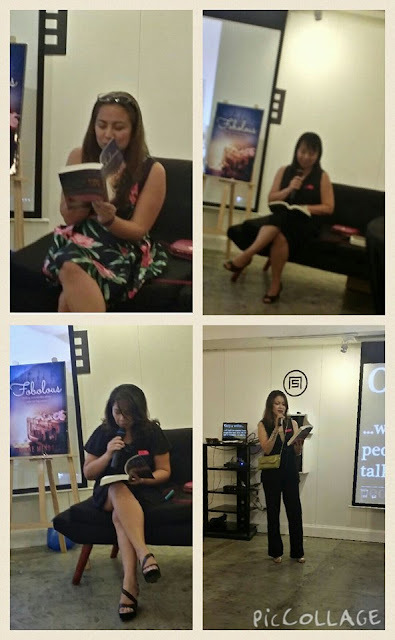 It's a very intimate book launch party attended by the relatives, friends, former officemates of the author, media and bloggers. Before the program start cocktails served. First they introduced the author, Rainne is a self-taught writer with a little background in Journalism but she's not a journalist. She graduated from the University of the Philippines with a Bachelor's degree in Broadcast Communication and was a Media Strategist/Planner/Buyer for global advertising agencies back in the Philippines. She now writes articles for online websites and web content for clients as a freelance writer. 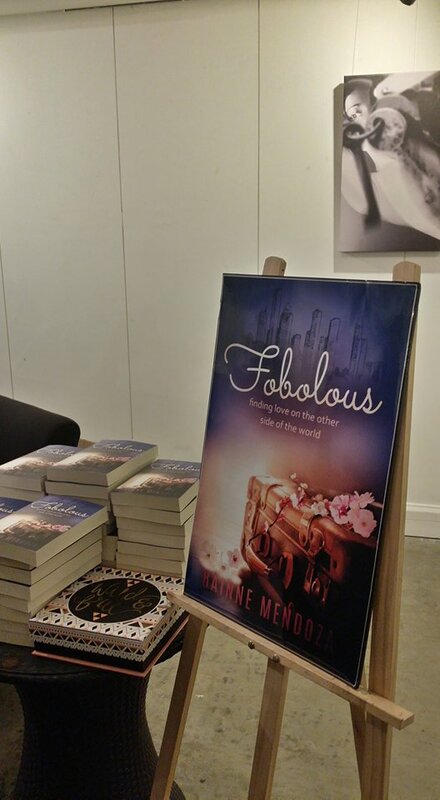 Rainne started writing FOBOLOUS in 2011 as a blog on Facebook until it developed into a novel four years later. And she lives in Houston, Texas with her family and their dog Mochi. There's a part in the book launch that the author read some chapter of her book in front of her guest and then some of her friends and former officemates continue reading the chapters of the Fobolous book. Last part of the event is the signing of the book by the author and I had a chance to take picture of her and ask some questions. She's very nice and very accommodating. 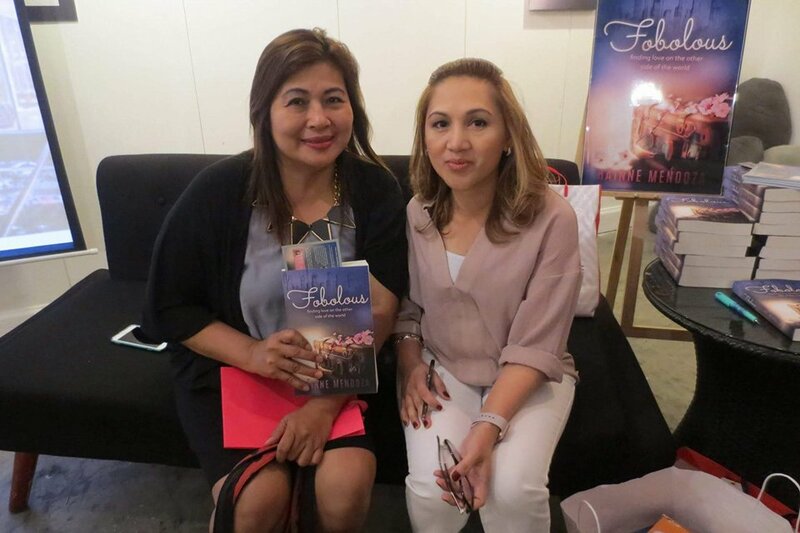 According to her, her book is only available at Amazon as of the moment and she will try to make deal with National Bookstore. 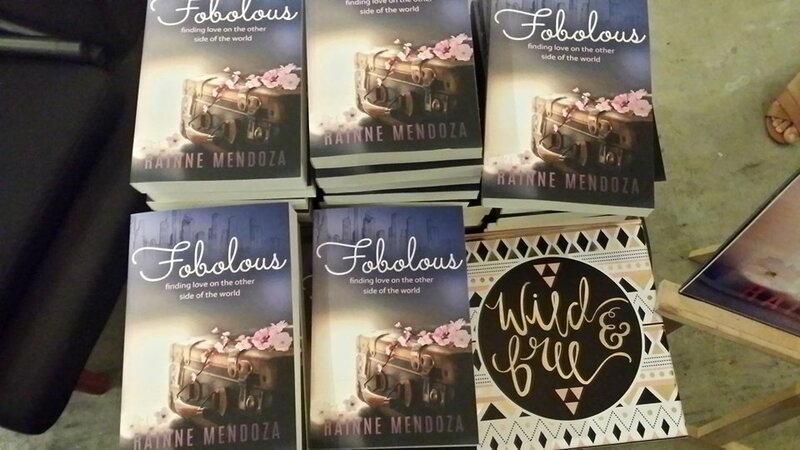 They visit Philippines every 2 years and I hope her next visit will be another book launch of Fobolous II or another story again. To provide you with the best online experience from the hottest current trends to product reviews and more will be sure to find exactly what you're looking for in our little corner of the online landscape. Yamaha Club Grand Touring held in Cebu last June 4-5, was an opportunity to feel the true abilities of Yamaha’s motorcycles on a long trip that would serve multiple road conditions, adjustments to different environments, and the physical harmony between the rider and the motorcycle.The 4-hour journey starts from Cebu City to Tanawan, Oslob and back. 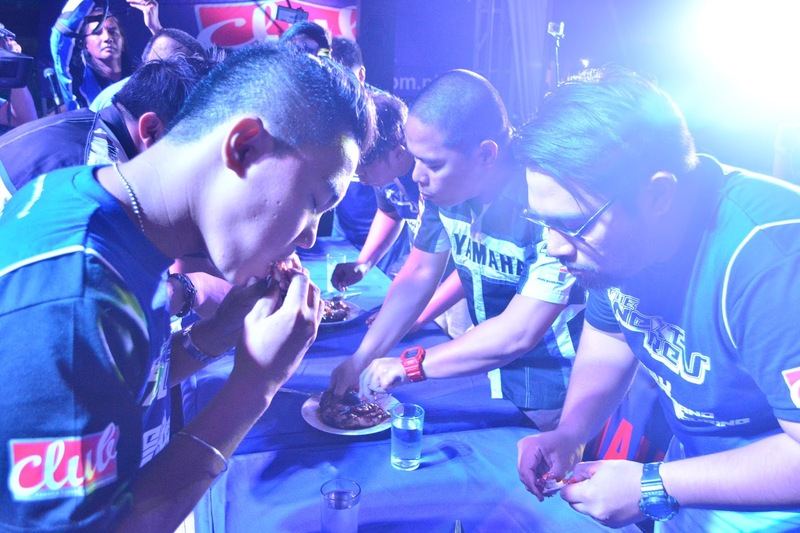 Yamaha Motor Philippines, Inc. champions passion of riding in a multitude of ways that has been seen across the country for years. 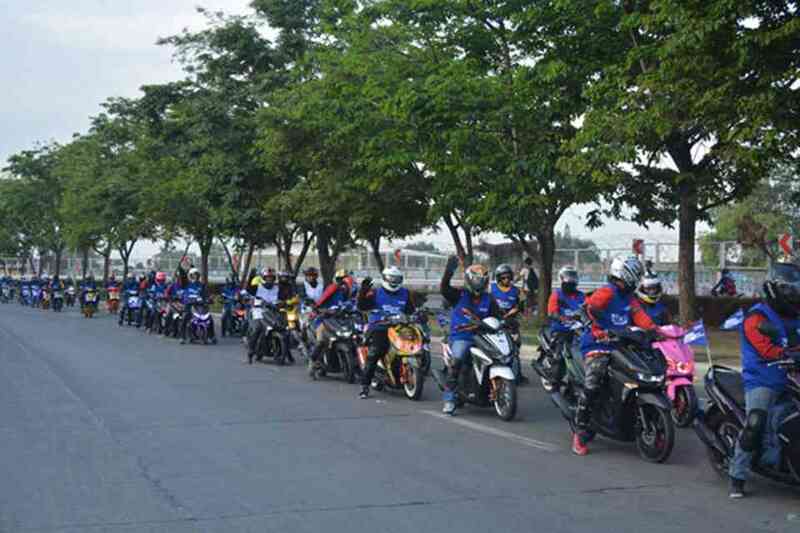 The tour began on a crisp Saturday Morning where 120 riders gathered in Kartzone Cebu from the different clubs such as Soul I Exclusive Team Cebu, Mio Elite Scooter Club. Yamaha Fino Club Cebu, SZ16 Club. 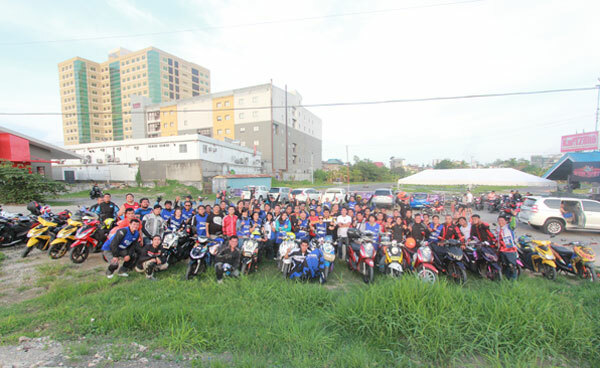 South Scooter Club, Tribu Del Mio De Bohol, FZ16 Club Cebu Philippines, United Sniper Club of Cebu, Yamaha Cebuana Club, Club Mio MXi Cebu and Vegaforce Rider Pack. 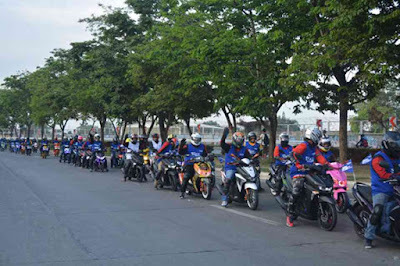 For thr trip, Yamaha featured 4 motorcycles to give the participants the feeling of unique innovation, technological breakthrough, and real-time performance. The N-MAX, a sporty urban commuter that is the first to be equipped with a 155cc liquid cooled Blue Core Engine, First AT Model with Variable Valve Actuation Technology that produces strong torque at low speeds and power at high speeds, also the 1st AT model with an Anti-Lock Brake System (ABS) that prevents wheel lock. One of the best parts of riding this unit according to riders was the comfort during the long ride especially with its foot rest. 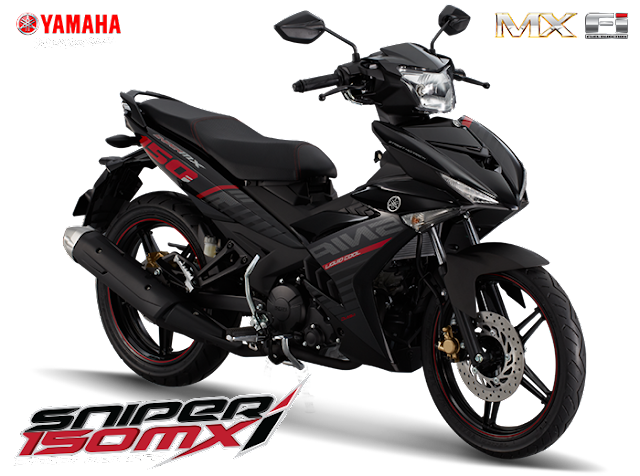 The Sniper 150 Mxi, one of the fastest motorcycles in its displacement is complemented by a liquid cooled Engine that is equipped with Fuel Injection (FI) allowing great speed with low fuel consumption. It’s handling at great speeds was truly enjoyed by the riders especially those who had the opportunity maximize its acceleration. The FZi is the first Yamaha street model with Fuel Injection, and a fusion of Optimized Efficiency, Lightness, and Powerful Design. Standing out was its lightness that made handling such an ease throughout the journey. When the clock hit 6:00AM, it was the moment when each rider started their engines and headed out for a highly anticipated trip. With only a couple of stops along the way, riders got the chance to truly enjoy the motorcycles for a longer period of time. They arrived in Brumini Resort with a few hours to spare before their next destination. They enjoyed a traditional “boodle fight” lunch before being whisked away to the beautiful Sumilon Island. 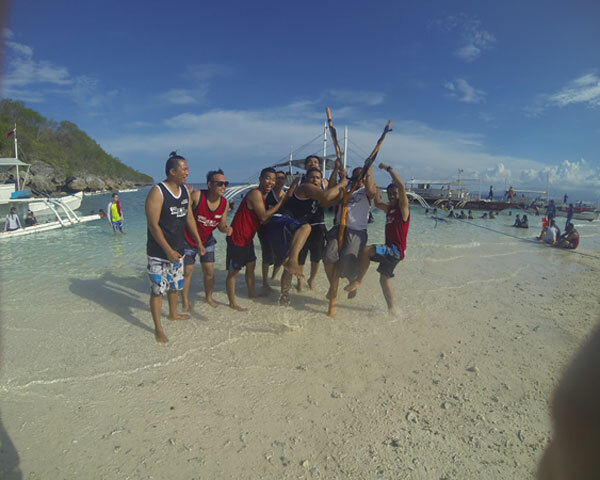 As the Sun was ready to set, it was time to return to Oslob for the evening program. 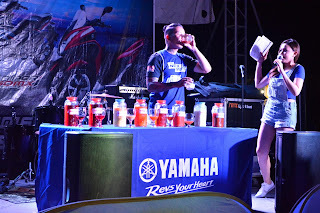 The program was hosted by ABS-CBN CEBU’s Phoebe Kay Fernandez and was filled with fun games and activities, raffle draws with prizes from Motoworld and Yamaha, and entertainment. Sales and Marketing Director, Kaoru Ogura, expressed his gratitude to all the riders not just for their support but also bringing their enthusiasm along for the ride. He raised his glass and emphatically said “Yamaha, Revs your Heart!” appropriately replacing the traditional “cheers”. As they awoke to the salty air in the next morning it was time for another adventure, whale shark watching. All aboard they went on a tiny fishing boat that was no longer than a car and was dwarfed by the immense size of the gentle giants of the sea. Armed with their monopods, go pros, and snorkeling gear, the riders became part of the “Butandings” natural habitat. After a busy weekend such as this there was only one thing left, the ride back home, the motorcade returned to Kartzone Cebu there were plenty of reasons to celebrate. The ride was complete, everyone enjoyed, and all had a safe ride. Each rider made their way home from there taking with them stories that will not be forgotten, friendships that have been created or rekindled through the love of riding. Looking forward to the next Rev. 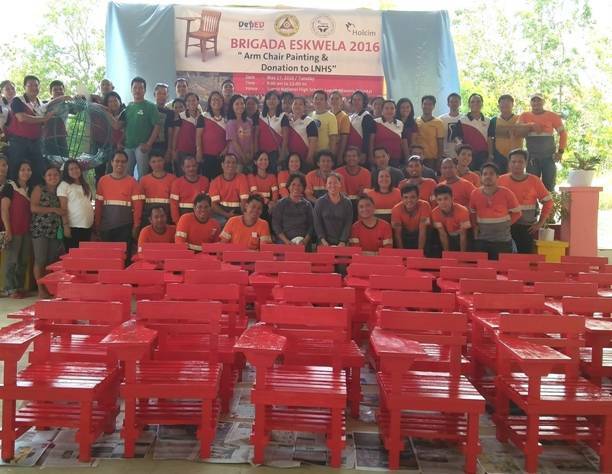 Holcim Philippines employees nationwide, including this group from its plant in Lugait Misamis Oriental, joined the Department of Education’s Brigada Eskwela for the fourth-straight year to help schools in their communities get ready for the start of classes in 2016. Holcim Philippines employees in La Union, Bulacan, Taguig, Batangas, Misamis Oriental and colleagues from affiliate LafargeHolcim Aggregates, Inc. in Rizal helped clean and paint facilities, repair chairs and tend gardens in various schools during the weekends of May and June. It also conducted safety orientations for other volunteers as part of its efforts to spread the company’s safety advocacy. Volunteers from construction solution company Holcim Philippines, Inc. went back to school to help local communities prepare public elementary and secondary schools for the start of classes this year under the Department of Education’s (DepEd) Brigada Eskwela initiative. 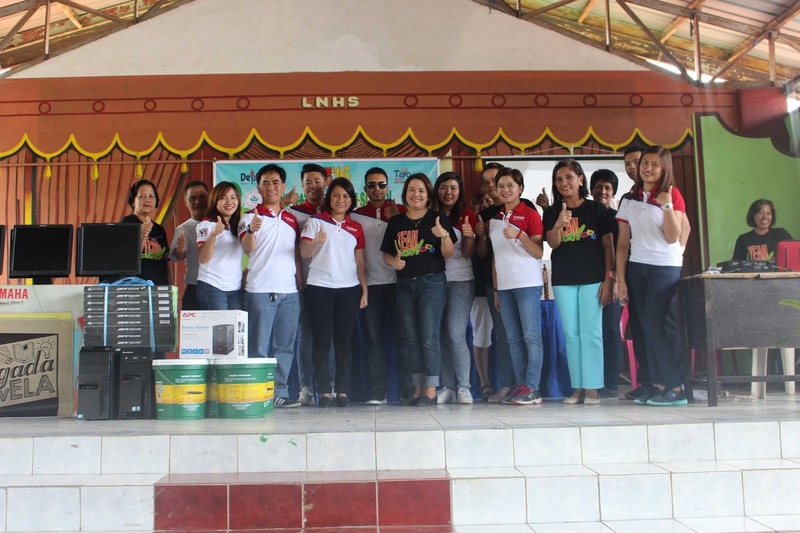 Sustaining its support to this activity for the fourth-straight year, Holcim Philippines donated school equipment and building materials, while its people again trooped to local schools to lend a hand in getting these ready for the year ahead. Holcim Philippines donated 5,000 bags of cement to 22 public schools in the cities of Davao and Panabo for building perimeter fences, concreting of path walks and landscaping. The company also gave books and chairs to other schools in its communities. 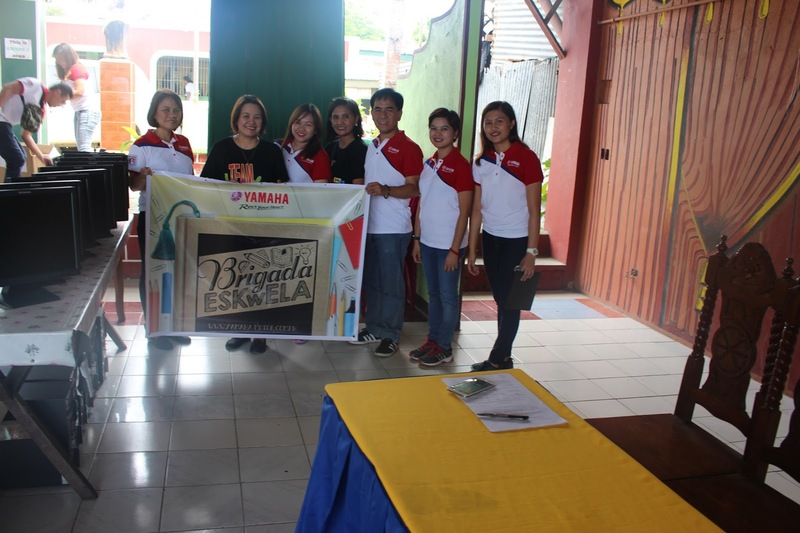 Reynante Flandes, school principal of Angono National High School thanked Holcim Philippines and its affiliate for its consistent support to the Brigada Eskwela. Aquaboy is a well-known escape in the heart of Metro Manila. 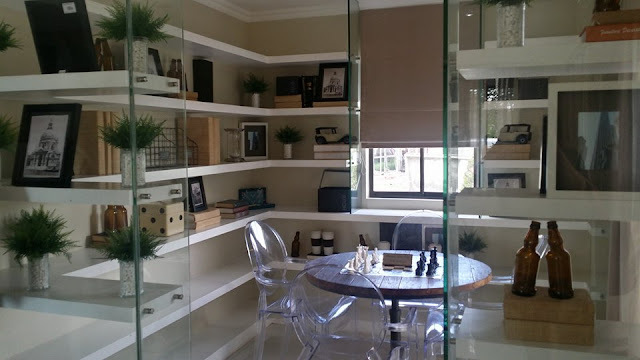 Located only at 10 Oriole St. corner Flamingo St. Zabarte Subdivision, Quezon City, it is indeed a perfect place to relax and unwind since it can perfectly give you an atmosphere of freshness and serenity. It is one of the few resorts along the urban vicinity that is ultimately clean and environment-friendly. The resort also practices the 5Rs of Miss Philippines Earth: Re-think,Reduce, Re-use, Recycle and Respect in order to enhance and beautify the place for its valued customers. Aquaboy believes that in its own simple way, the world can somehow be a better place. Aquaboy Resort believes the finest epitomes of 'beauty with a cause', Miss Philippines Earth is recognized as a prestigious event of celebrating both womanhood and God's splendid creations. This year, the pageant calls out for everyone to be "Empowered to Address Climate Change". And nothing is better when it comes to upholding this cause than a hideaway that can both beat the heat and show its commitment to safeguard the environment. 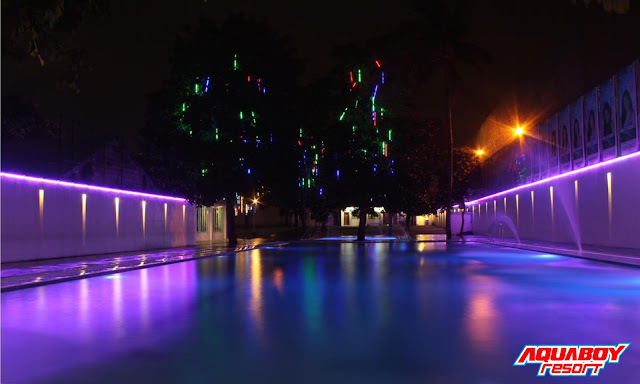 Because of its stylish facade and cool ambiance, Aquaboy was recognized as the perfect place for the pageant candidates to project themselves gracefully and confidently in their swimwear. With a festive aura, the venue was filled with goddess-like beauties who possess highly intelligible brains and big, attentive hearts for the sake of Mother Earth last May 6 for the swimsuit fashion show. May the examples of Miss Philippines Earth, Aquaboy Resort and the other pageant sponsors enlighten us with the significance of joining hands and making even the smallest effort to preserve our beloved Mother Nature. 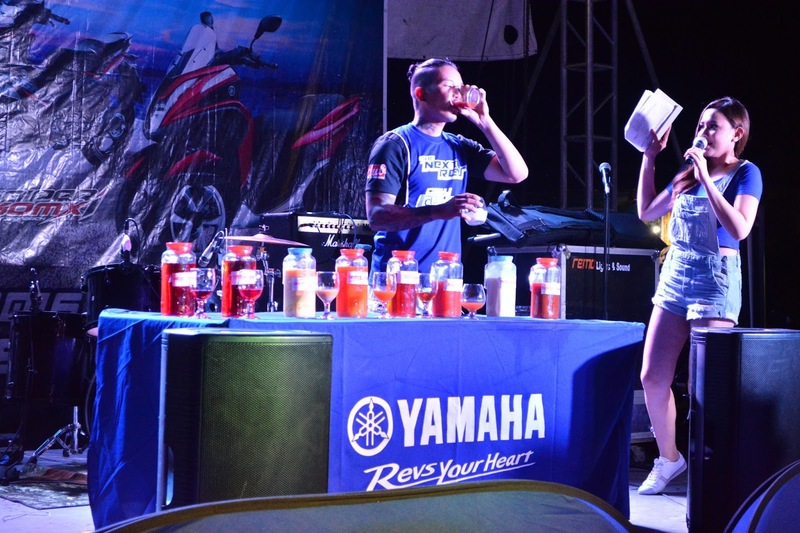 Yamaha Motor Philippines, Inc. continues to provide more than just high quality products and excellent service with its dedication to the Filipino Community through various programs and activities. 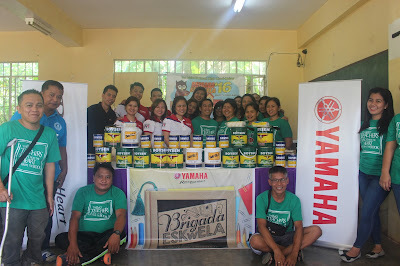 The Brigada Eskwela is a campaign that helps schools through donations and other works that elevate its facilities. Recently, Yamaha visited 2 schools in Cavite, Lumil National High School and San Isidro National High School. Gregoria B. Marasigan, and Guidance Counselor, Pampila O. Bayla. Then it was off to San Isidro National High School where the company donated Painting Materials and resources for the construction of the school’s hand washing facility. Receiving the donations were Teacher-in-charge Ms. Lilibeth Cabrera, Mr. Christian G. Nito, Property Custodian, and Ms. Mylene Metica, ASP Representative. 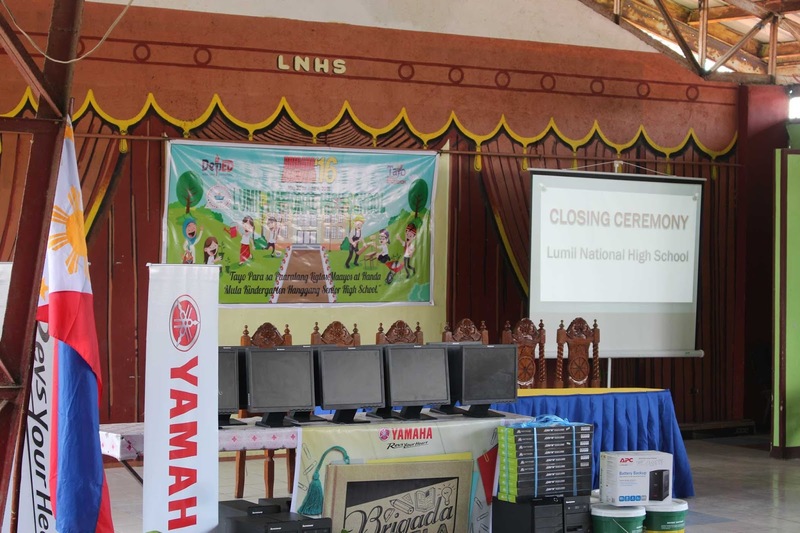 This is the latest in Yamaha’s endeavors to make sure that the Filipino Youth will get the best educational equipment and facilities to continue their journey of learning. Going beyond the roads, giving a brighter future, is what Yamaha is all about. Pag-IBIG Fund recently announced the opening of its Valenzuela City Branch located at ARCA North Center, 286 Mc Arthur Highway, Karuhatan, Valenzuela City near NLEX-Karuhatan link. It serves more than 138,000 employees and 2,800 employers. The branch covers 33 barangays in Valenzuela. “Members and employers from Valenzuela used to transact with our Caloocan Branch. Now that our Valenzuela branch has opened its doors, our services are made more accessible to members in the area. 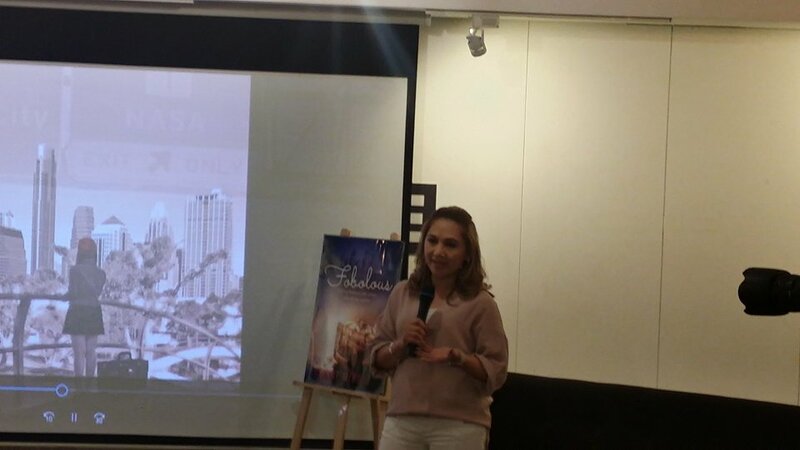 Our clients don’t have to travel far or brave the rush hour traffic,” said Pag-IBIG Fund President and CEO Atty. Darlene Marie B. Berberabe. When in the branch, prospective members can register, while employers, individual payors, and self-employed members can pay their membership contributions. Members can also pay their additional savings under the Modified Pag-IBIG 2 Program. Loan-borrowers can file their application for Multi-Purpose Loan (MPL) and Calamity Loan (CL), and update their housing, MPL, or CL amortization payments. The branch also disburses MPL and CL proceeds through Pag-IBIG Citi Prepaid Card or Land Bank Cash Card. Issuance of Member’s identification (MID) number, Member’s Statement of Accumulated Value (MSAV), and facilitation of transfer of member’s records & loan details can also be accomplished in the branch. The branch also issues Pag-IBIG Loyalty Card wherein members can enjoy privileges and discounts from partner schools, establishments, and merchants. Employers can also request for a Loyalty Card Kiosk deployment so that their employees can enroll for the Loyalty Card in the convenience and comfort of their own offices. “We continue to improve our service by making transacting with Pag-IBIG easier for our members. We have also instituted reforms by reducing interest rates in housing and calamity loans, and insurance premiums as well. Pag-IBIG did these for its members without increasing the monthly contribution of P100,” she added.